While these statistics are shocking, it’s hard to convey the gravity of the opioid crisis through numbers alone. But one number that spoke volumes to me was 35: the number of Brooklynites who voluntarily piled into a small room at the Brooklyn Central Library to attend an overdose prevention training. It was one of nine trainings set up by the office of Brooklyn Borough President, Eric L. Adams. According to a recent studyby Siena College, more than half of New York state residents know an immediate or extended family member or co-worker who’s struggled with opioid addiction. We aren’t just talking about police, firefighters, or paramedics, who respond to calls about overdoses. Even before Surgeon General Jerome Adams declared a national public health advisory earlier this month recommending that ordinary people carry naloxone, there appeared to be a boom in community interest around overdose training sessions. 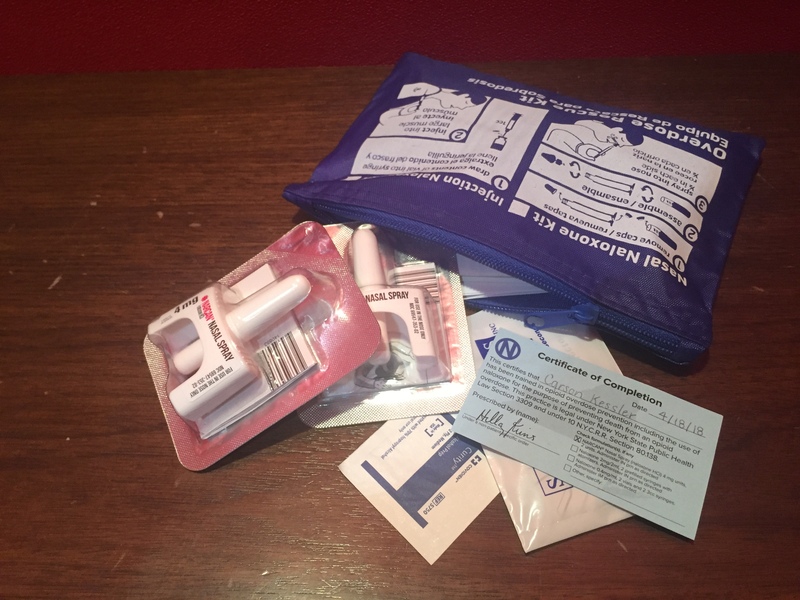 Identical to the Brooklyn session, overdose prevention trainings—often organized by the government, treatment centers, or neighborhood groups—have multiplied across the five boroughs with particular emphasis on the Bronx, Brooklyn, and Staten Island, according to the NYC Office of the Chief Medical Examiner and NYC Department of Health and Mental Hygiene. In 2006, a New York State law made it legal for people who aren’t medical professionals to administer the life-saving drug to prevent deaths from opioid overdoses.